John B. Perez Gutierrez was beaten while getting treatment at the hospital last February, a suit says. ELMHURST — A man attacked and beaten by a fellow patient in the psych ward — who was previously jailed for manslaughter — is suing Elmhurst Hospital for not doing enough to protect him, according to a lawsuit filed last week. John B. Perez Gutierrez, who lives in Jackson Heights, was hospitalized last February for post traumatic stress disorder, psychosis and bipolar disorder, the suit says. But as a patient over the course of two days at the city-run hospital at 79-01 Broadway, he was "violently attacked" by Emmett Black, another patient who served six years in a state prison for manslaughter, the suit and state records show. Gutierrez was struck in the face by Black, which caused him to go into an epileptic seizure. The attack caused multiple injuries, including a spine fracture, a hemorrhage in his sinus, chronic headaches and permanent nerve damage to his upper lip and teeth, according to the suit. It also increased his anxiety, caused slurred speech and chronic headaches as well as short-term memory loss — and he's still being treated for the attack, according to his lawyer, Scott Harford. 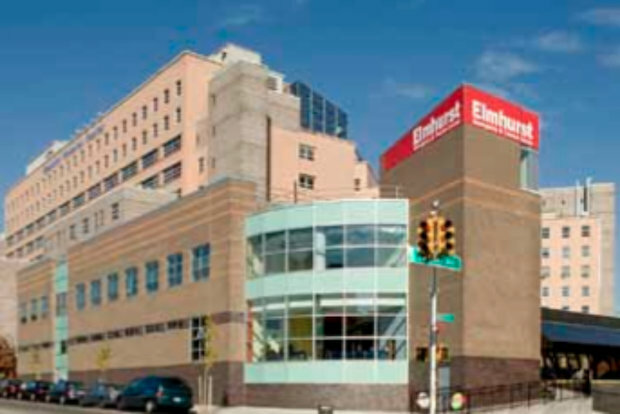 "Why would [Elmhurst Hospital] let a patient with a criminal history in the general population in a psychiatric ward, knowing the type of patients that are there?," he told DNAinfo New York. He said the psychiatric ward doesn't have enough security, making it a dangerous place for patients seeking help. "It's about a failure to maintain a reasonably safe place which they're obligated to maintain," he said. Black was arrested on Feb. 16, the same day as the attack, and convicted in May of third-degree assault, city records show. He's expected to be released on Oct. 17. A spokeswoman for NYCHHC said they couldn't comment on the specific suit, but that their goal is patient safety. “NYC Health + Hospitals makes every effort to protect the safety of our patients and ensure they receive high-quality health care at every interaction across the health system," the spokeswoman said. Harford is requesting a jury trial for his client.